We meet on the 2nd. Monday of the month 1.00 pm - 4.30 pm in the Methodist Church Hall. The charge is £2 each and this includes a tea or coffee. 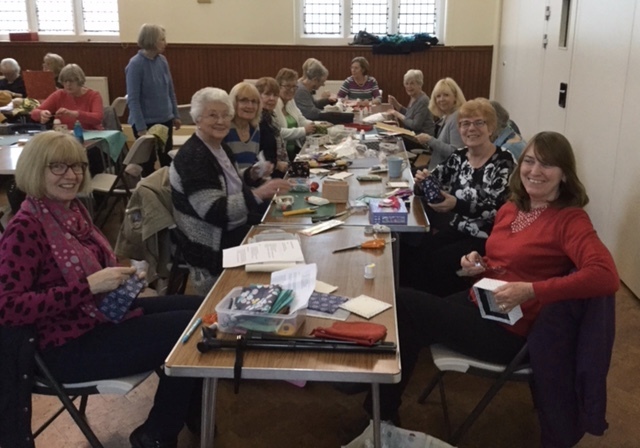 We are a busy, friendly group who come to knit, crochet, cross stitch, make bags, patchwork projects and card and box making. Whatever craft you do, come and join us and maybe help others to try something new. June 10th Fabric/ribbon flowers. Dressmaking! Please join in with the above activities OR bring your own project, for help or to complete. Box making. Male crafters welcome too!